This gorgeous chorale, Cantique de Jean Racine (Song of Jean Racine), won young Gabriel Fauré first-place when he graduated from a Paris conservatory. The text is a poem by the renown 17th century French dramatist, Jean Racine. Lord, save me alike from foolish Pride or impious Discontent, At anything thy wisdom has denied, or anything that goodness lent. Teach me to feel another's woe, to right the fault I see: That mercy I to others show, that mercy show to me. Mean tho' I am, not wholly so, since quicken'd by thy breath; O lead me whereso'er I go, thro' this day's life or death! And those who do righteousness at all times! We have made our reading technical enough to talk about translations on occasion, and we must do so here. In English, the imperativeThe imperative is a verb tense (technically a “mood”, not a tense) used for commands or requests, such as go in “Go home!”; it can also be used when prohibiting or giving permission. 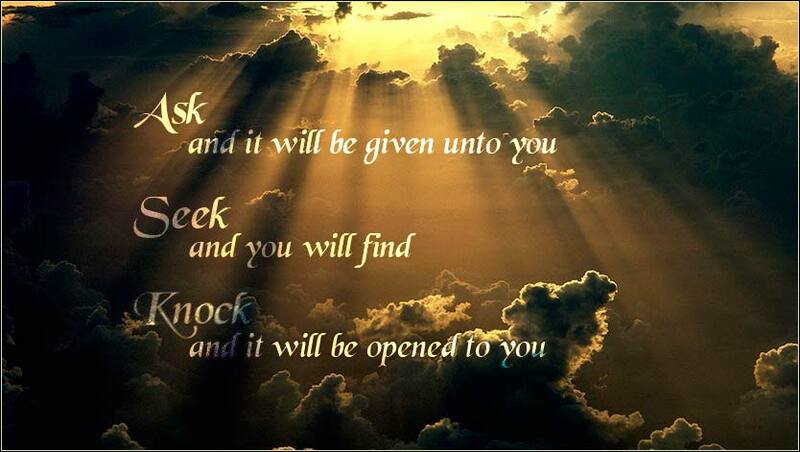 form of “ask”, “seek”, and “knock”, sounds as if we knock once or twice. But the ancient Greek implies a continual action. What Christ means is “ask constantly” or “always be asking”. The reason this is important is that it avoids the error of thinking that if we ask for something tonight, it will be delivered by morning post, which is not what the passage means. Christ is not advertising some sort of cosmic room service. Eventually, we will receive “it”; but “it” is ambiguous. Christ does not promise we will get a specific item that we ask for. He does promise that we will receive good things. We should not fear to ask God for what we want, whether or not we think we will receive exactly what we ask for, because God loves for us to ask Him for things. But what is the “it” we will get? First off, what we will not get is a fake. Notice how each of the specific bad items somewhat resembles the good thing asked for. So in response to a petition, God is not going to punish us or play a trick on us. Trickery is something the gods were notorious for doing in Greek mythology, when asked for something. Zeus offered AuroraAurora was the Greek goddess of dawn. one request, and she asked that her mortal lover (Tithonus) live forever. So Zeus made Tithonus immortal - but not eternally young. So Aurora's lover got older and older, until he was little more than a pile of dust. So, if we think we would be better off if we had a brand new Mercedes CL that costs $200,000, we should ask God for it. God, who loves us (often more than we love ourselves) and is smarter than we are, will give us something good — but it may not be what we requested. If it is not, it is because God gives us something better. 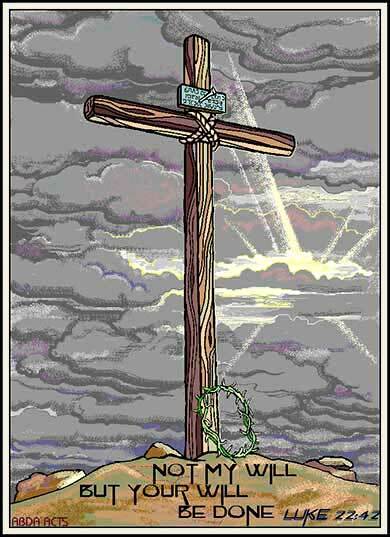 What Christ does not say, but can fairly be implied, is that if we ask for a scorpion, He will give us an egg instead. This makes immediate sense to any parent whose 6-year-old asks for, say, a machine gun. If a parent knows that a requested gift will hurt the child, he will substitute something beneficial. It serves us well, in this regard, to recall the request of Solomon: 1 Kings 3:1-15 or 2 Chron. 1. The primary point of this teaching, is that we should never stop asking, seeking, and knocking. God wants us to pester Him constantly. He has promised us that He will respond positively.